Neem oil is pressed from the fruit of an evergreen tree that grows in tropical climates. The oil is very versatile - it's a carrier oil, natural antiseptic, helps to deter melanin from darkening the skin, can help with itching and redness of the skin and scalp, and it's even a natural insecticide that doesn't harm bees, birds, or other pets or wildlife! I like to add a drop or two to my homemade cuticle and skin oil because I'm pretty hard on my cuticles. Here's the rub, though. As effective and amazing as it is, it comes with a bit of a price. It has a unique and pungent smell, often likened to rancid peanut butter mixed with garlic. Deodorized neem oil just isn't as effective as raw and unrefined - as with most oils, the refining eliminates some of the compounds that make the oil so effective. In my handmade oil, the neem is diluted and mixed with other fragrant oils so that the smell isn't as strong. I decided to use it on my hair for this review, mixing it with a minty-rosemary shampoo. It did dampen the sudsing of my shampoo, and the smell did linger until my hair was fully dry, but it was gone after that, and never re-emerged. I have a lot of hair, there's no doubt, and it's fairly thick and pretty dry and curly. I've done many different masks, and tried lots of different oils, from Coconut, to Argan, to Jojoba. NEVER has my hair felt this thick and luxurious. Doesn't it look like I have extensions in? I had hair for miles. Even my friends noticed how full and thick and gorgeous my hair looked. Pretty much made the smell worth it! I'll definitely experiment with a lesser amount of oil, and different scents of shampoo, too. Other recommended uses include spraying it on plants as a natural insecticide and fungcide, using it on dogs as a flea and tick repellent, or even using it for dental health. Not that I'm keen on getting that smell anywhere near my mouth, but to each their own. A very simple nailart abstracted from the label. The base is Zoya Daisy, with a Butter London Sozzled "leaf" and "nut" dotted with a little more Daisy. 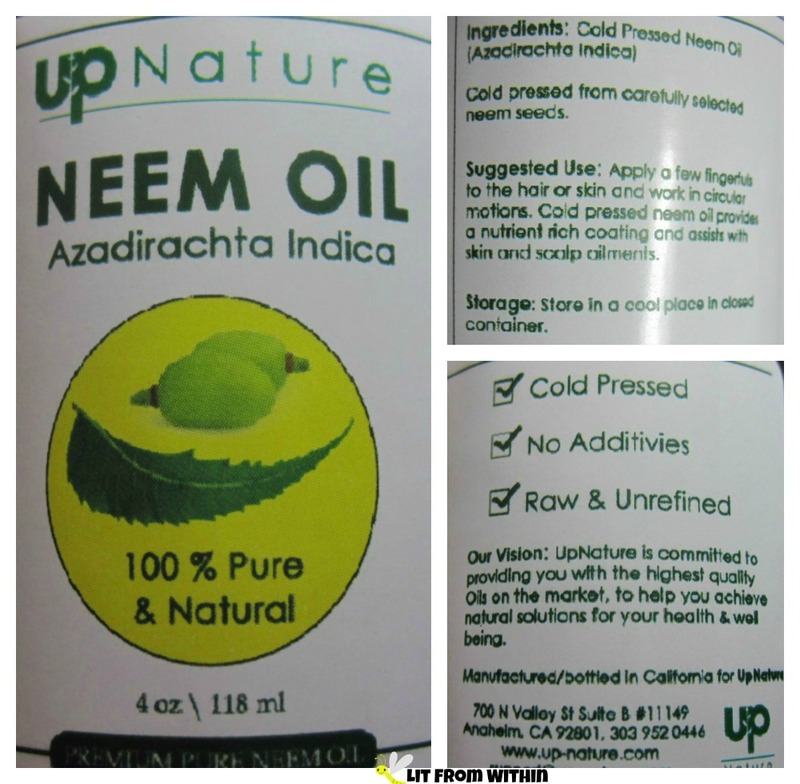 To purchase Neem oil, you can find it on Amazon, where 4 oz currently retails for $11.87. If you're not completely satisfied with your purchase, Up Nature offers a 1-yr, 100% satisfaction money-back guarantee. If it was amazing, would you try a smelly product?